Doctor Who Magazine have released an unmissable 100 page special of their publication – Doctor Who Magazine Special Edition: On Location. As any Doctor Who fan will know, the TARDIS crew can travel anywhere in time and space. This obviously affords the writers endless potential in their stories – but also tasks the shows location crews with bringing countless worlds and time periods to life. Furthermore, after 50 years on television, the method of location scouting has no doubt developed with technology. Consequently, there is a lot of interesting history for Doctor Who Magazine to chart. Doctor Who Magazine Special Edition: On Location, features exclusive interviews with the acclaimed crew of Doctor Who. Interviews include…. Due to this impressive list of Doctor Who episodes and credentials, there is a host of insight into Doctor Who’s location management. 2011’s A Town Called Mercy featured a full Wild Western town and saloon that will no doubt be fascinating to learn about. Additionally, 2013’s 50th anniversary special The Day of the Doctor showed footage of London and even The Time War itself. Many of the episodes listed are staple entries of Doctor Who, with fascinating locations to learn about. There are even more fun activities to read about in the special too! The Masque of Mandragora will be studied by Andrew Pixley, revisiting the Portmeirion location shoot. Moreover, Doctor Who Magazine alum Alan Barnes has met some fans of location hunting and shares his findings. Matthew Kilburn is even exploring Doctor Who’s most celebrated quarries! Fans will also get a map charting the British Isles that have succumbed to alien invasions. Shoot guides for episodes City of Death and Arc of Infinity are also available. To top all of that off is a behind the scenes sneak peak at 2011’s The Rebel Flesh/The Almost People. Shot inside 13th century Caerphilly Castle in South Wales, fans will not just learn about location use in Doctor Who, but the real history behind them. 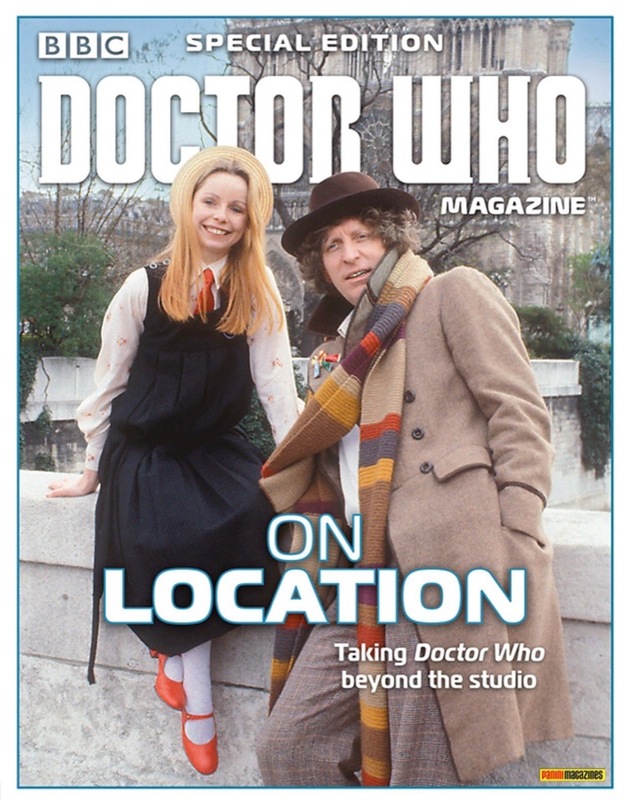 Doctor Who Magazine Special Edition: On Location has a lot of content to be excited about. You can visit the official Doctor Who Magazine Special Edition: On Location web page for more info. Doctor Who Magazine Special Edition: On Location is on sale now at WH Smith and all good newsagents, priced £5.99 (UK) and $11.99 (US).